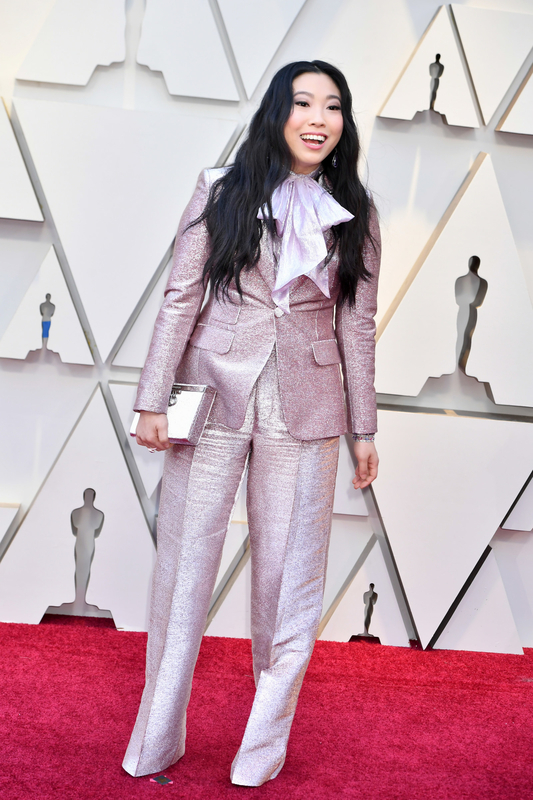 The year is 2019, and if the red carpet fashion at the Academy Awards is to be believed, it's apparently all about the color pink. Bubblegum neons, dusty roses, bold fuchsias, and bright flamingo — it doesn't matter the tone, as long as it's pink. For the record, the Pantone color of the year is "Living Coral," which is just a few shades off from what we saw on the red carpet tonight. And a very special shout-out to the runner up: this pinkish-lavender color that was pretty close, but didn't seem like quite the right tone to include in this list.